A new edition of a classic student text in Endodontics! 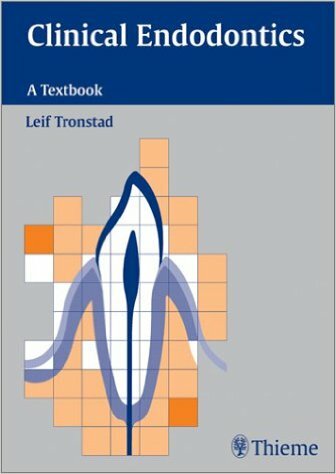 As did the first edition, the second edition of Tronstad's Clinical Endodontics fills the need for a simple, yet comprehensive textbook in endodontics that serves as an introductory text for dental students, and which is also suitable as a refresher source for general practitioners, postdoctoral students, and entodontists. Having been written by only one author, the book is remarkable for its cohesiveness, clear argumentation, and didactic clarity, which are so important at the introductory level. Clinical endodontics summarizes the biology of the endodontium and the apical periodontium, and deals with the etiology and pathogenesis of endodontic diseases. Examination methods, diagnosis, and treatment principles are discussed, and main endodontic techniques are described. A final chapter deals with the prognosis of endodontic treatment. The new and second edition has been completely updated and revised, and includes a new chapter on endodontic retreatment.